Satire is a tricky genre. It presupposes particular knowledge on the part of the reader – or at least the reader’s recognition of the behaviour being mocked. 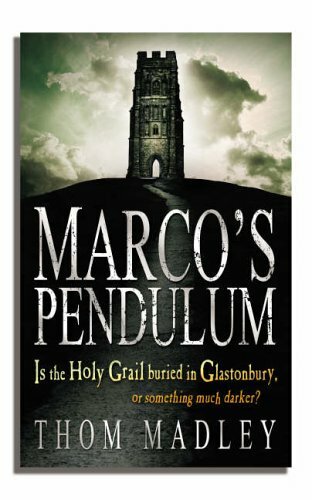 So, for complete enjoyment of Marco’s Pendulum, it helps if you’re aware how pretentious a north London psychiatrist can be; how driven an evangelical policeman turned clergyman can be and the intrinsic incongruity of hippie grandparents. All that said, this is a great yarn and promises to be merely the start of another mystic saga. With an absentee career television producer for a mother and a work-absorbed lawyer father, Marco is shunted off for the summer holidays to his mother’s estranged parents: ageing hippies who have bought into the Glastonbury legends on a grand scale. The extreme unlikeliness of this event is finally made credible although it severely tests the reader’s credulity on the way. It is also a tale of commercially minded property developers, keen to create an Avalon-world theme park; intransigent drop-outs; disgruntled locals and black magic. Marco and Rosa (the daughter of the newly-arrived curate) are sucked into the conflict, with Marco discovering he has the gift of dowsing. Also involved is the holy grail, possibly brought to ‘Glasto’ by Joe ‘Mathea (otherwise Joseph of Arimathea, a relative of Jesus).